The BlurFix Air with ND8/CP Filter combines a lightweight slip-over filter frame for the Hero3/Hero3+ with a professional grade circular polarizer (CP) filter and a neutral density 8 (ND8 or ND0.9) filter all in one. The BlurFix Air Filters from Snake River Prototyping are the lightest filters available for the Hero3 and Hero3+ - each filter weighs only 7.6 g, or 0.27 oz! 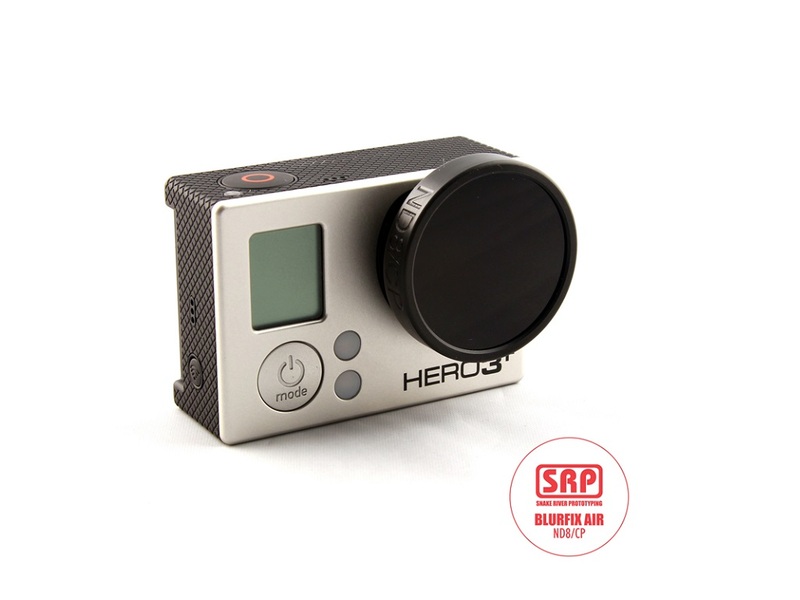 The BlurFix Air slips over the Hero3/Hero3+ lens body (no housing) and are intended for ultra-lightweight camera platforms (i.e. quadcopters and other aerial radio control aircraft).